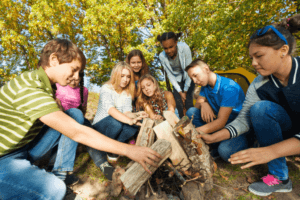 Trapping, Hunting & Gathering Class – Trail Blazer Survival School, Inc.
After meeting your needs for shelter (warmth) and water, the human mind will drive a person to find food. The mind will actually turn its thoughts to food before water unless you are in a desert (arid) situation or have had to physically exert yourself to the point that the body needs to immediately replenish its electrolytes and water. While you can last up to 3 months without food, your psychological well-being is improved when you have even a small amount of food each day. While a small amount may not be enough to make a dent in your caloric input, the psychological effect of helping you maintain the will to survive is crucial.